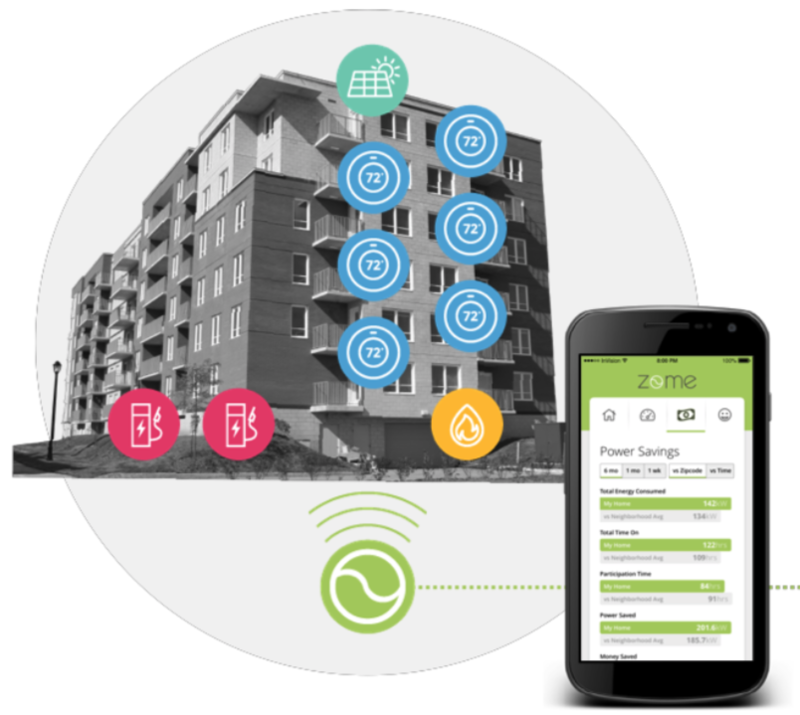 ZOMEKIT for Apartments provides a turnkey energy management and optimization for apartment towers and complexes. ZOMEKit allows building owners to enjoy energy savings and even revenue production from their buildings by coordinating their energy usage with the rest of the Energy Grid, helping the Grid in times of need and getting paid for it. Consumers living in the apartment units can share in the energy savings and revenue generation, enjoy cutting edge home appliances and devices, and take pride in being “green” all the while maintaining control by being able to opt out at any time. The electric utility benefits by having a flexible load resource (the ZOME outfitted building) to count on for their advanced (fast response time) ancillary energy services. The ZOME gateway is placed in a central location in your building and controls devices wirelessly. Unlike other MDU solution sets requiring a gateway device in every apartment unit, only one is required with the ZOME solution set. A second ZOME gateway can be used for communication redundancy and near- guaranteed 100% uptime. The ZOME gateway communicates with ZOMECLOUD and from there to live data feeds such as energy market pricing and weather data, and connects the building directly to various energy markets for energy monetization programs. Convert your apartment tower/complex into an energy grid aware, smart building providing notable energy savings AND revenue-generation. Mike Martin, multiple apartment owner, talks about the benefits of Zome for Apartments for his tenants, building owners and the environment. 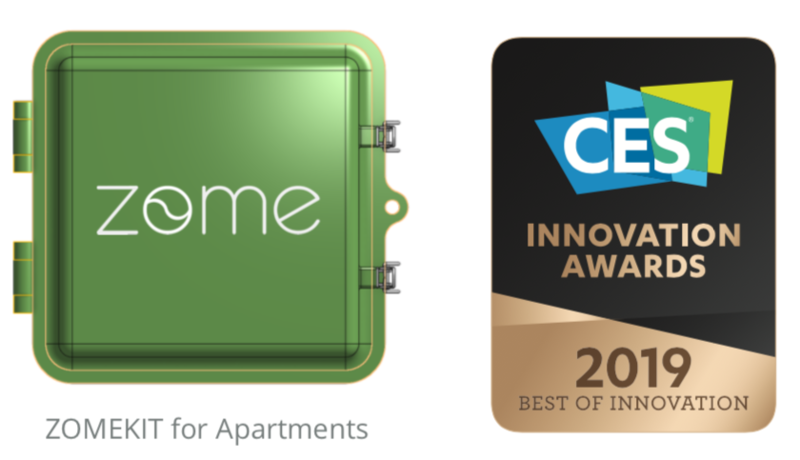 The ZOME gateway supports expansion of Distributed Energy Resources including smart appliances, EV chargers, rooftop solar, and electric batteries.